The aquaporin channel family was first considered as a family of water channels, however it is now clear that some of these channels are also permeable to small solutes such glycerol, urea and monocarboxylates. In this review, we will consider AQP4 and AQP9 expressed in the rodent brain. AQP4 is present on astrocytic end-feet in contact with brain vessels and could be involved in ionic homeostasis. However, AQP4 may also be involved in cell adhesion. AQP4 expression is highly modified in several brain disorders and it can play a key role in the cerebral edema formation. However, the exact role of AQP4 in edema formation is still debated. Recently, AQP4 has been shown to be also involved in astrocyte migration during glial scar formation. AQP9 is expressed in astrocytes and in catecholaminergic neurons. Two isoforms of AQP9 are expressed in brain cells, the shortest isoform is localized in the inner membrane of mitochondria and the longest in the cell membrane. The level of expression of AQP9 is negatively regulated by high concentrations of insulin. 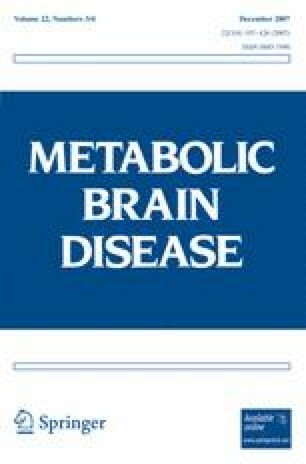 Taken together, these results suggest that AQP9 could be involved in brain energy metabolism. The induction of AQP9 in astrocytes is observed with time after stroke onset suggesting participation in the clearance of excess lactate in the extracellular space. These recent exciting results suggest that AQPs may not only be involved in water homeostasis in the brain but could also participate in other important physiological functions. The authors wish thank Dr M. Price for critical comments on the manuscript. This study was supported by grants from the Swiss Science Foundation (FN 3100AO-108001); Fondazione Per Lo Studio Delle Malattie Neurodegenerative Delle Persone Adulte e Dell’ Anziano”, from Lugano, Switzerland; SwissHeart foundation.